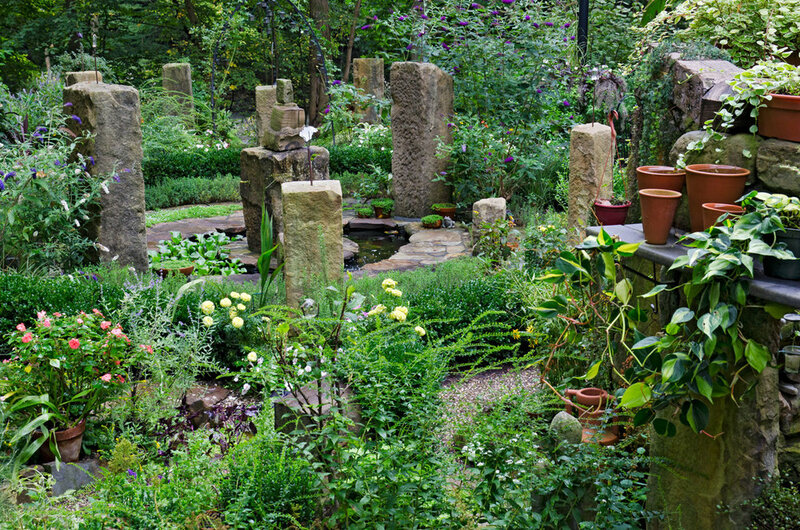 Our Award-Winning Visica Piscis Sun Clock Garden, as the garden’s central point of energy, is a testament to the exactness and beauty of Sacred Geometry, Math, and Astronomy in tracking the Sun’s yearly movements, documenting the solstices and equinoxes. 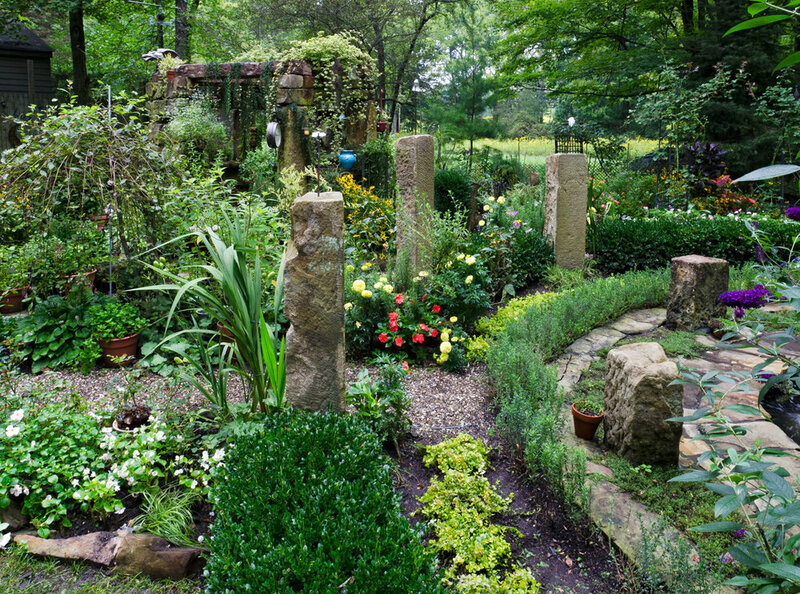 The VPSCG is a small concise garden centrally located within a larger garden that shares an informational connection to the two designs on the East and West of its location. 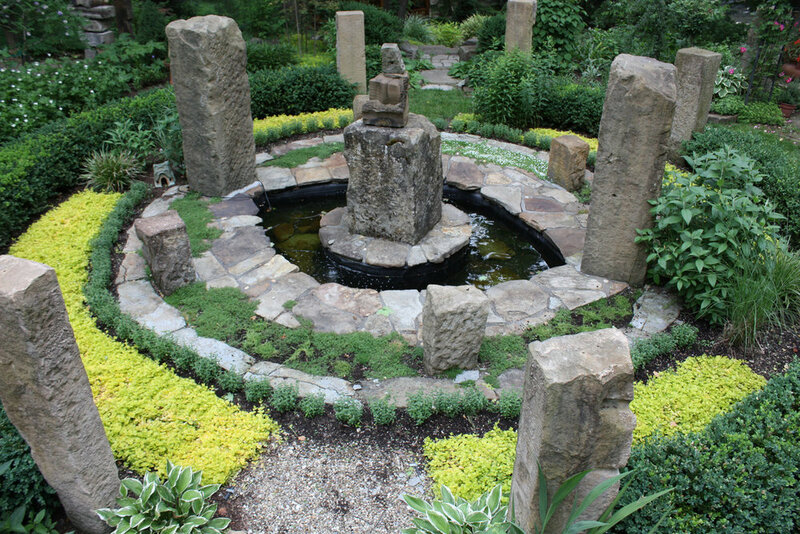 The VP water feature is the focal point for the Vesica Piscis Sun Clock Garden (VPSCG). The VP brings to the design the metaphysical and spiritual meanings behind water and the bearing it has on human consciousness. The VPSCG faces a Japanese Garden and river on one side and a Star Garden on the other side. Two alignment lines directly dissect the V P ‘Eye’ stone: one is from the Japanese garden to the Star garden and the second is from the Grand staircase to the Crystal Ball (important symbol) mounted stone next to stone ruin.